In the second in my series of posts on my fave Christmas decorations (see my first on woodland animals), here are some beauties I've chosen for my 'Frosty Morn' tree. As I mentioned in my first post, this name was a Mickey take from the John Lewis theme a few years ago and the name stuck. 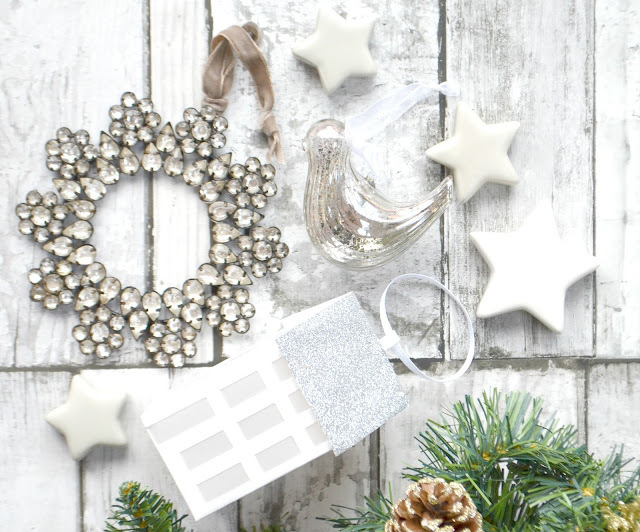 My eat-in kitchen is a range of different greys so it seems fitting for my tree to harmonise with the colour palette, so I decorate it with white and silver ornaments. To say I love The White Company is an understatement, for every room in my house I have tried to decorate and dress it as if it has fallen out of The White Company catalog and my Christmas House, well I try even harder to emulate their look. So naturally when looking for new decorations this is the first place I look. 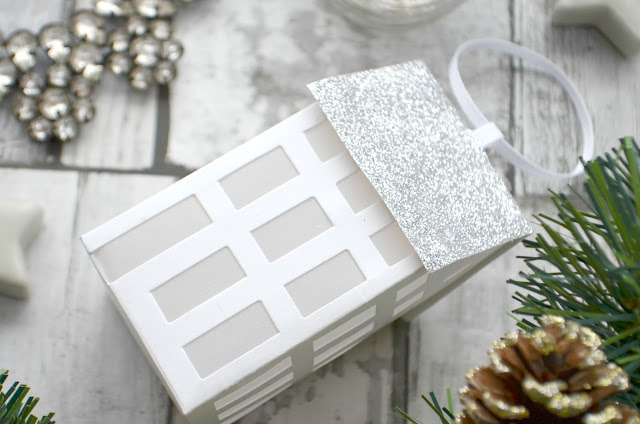 The cutest white houses with silver roofs are just too cute (Paper Town Houses set of two £12) and you can even pop in a battery tea light so the little windows glow as if the little people inside are having a party. I am hoping these go in the sale after christmas so I can stock up on a few more for next year too. 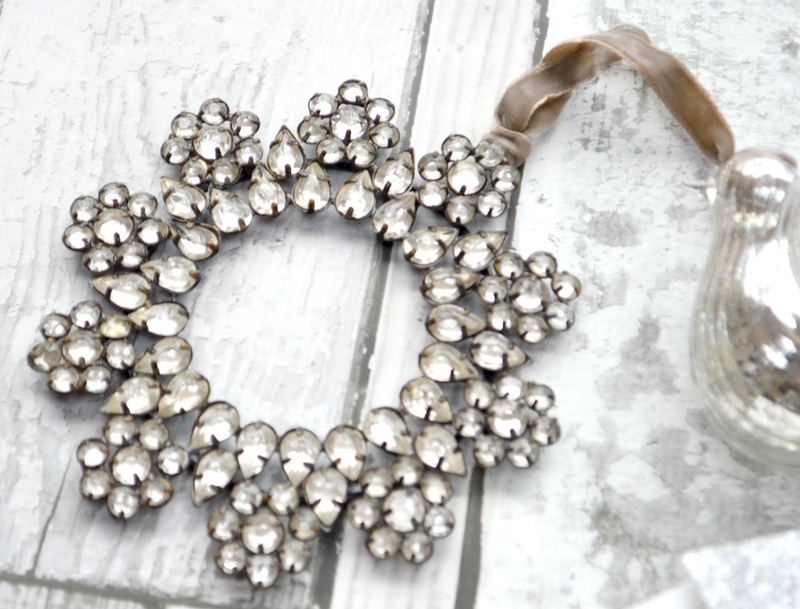 Keeping with the glitz, this art-deco jewelled wreath (Vintage Jewelled Wreath £10) is stunning and is a gorgeous addition to any large tree. I love that even the ribbon is a luxury grey velvet. If you do go for a more petite option, you could use this as the star on top, or even use them as beautiful festive napkin rings for your Christmas dinner table. 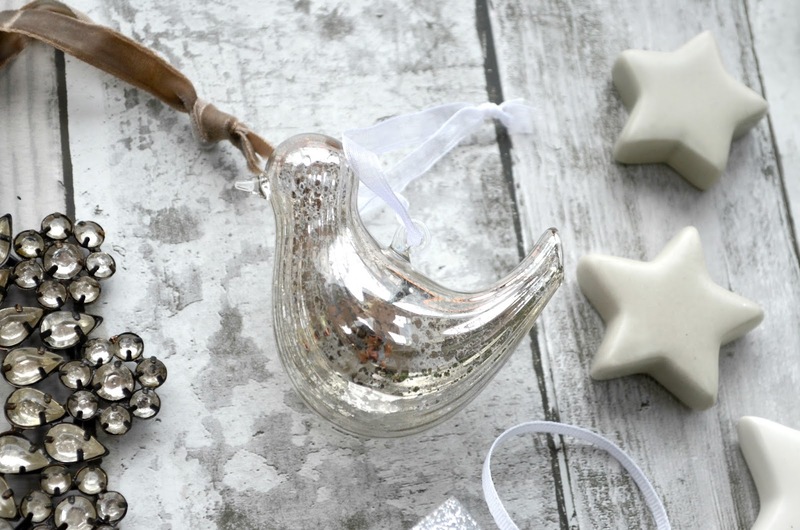 The White Company have a range of mercury baubles, with this dove (Mercury Dove £6) being my favourite, hung at the top of the tree so no naughty little hands can grab him! I've got a few more decorations to share with you in the run up to Christmas, I do hope you are enjoying reading these festive posts as much as I am enjoying creating them.